Enhance the mind, body and spirit with a home sauna from the Tylo Evolve range. The Tylo Evolve is one of only a handful of exceptionally well designed, practical, durable and affordable home sauna units. These home saunas for sale are easily the most accessible route to realising your dream of a high quality sauna at home. With stunning aspen features the Evolve home sauna units provide a unique blend of heat and the unmistakable scent of natural wood. 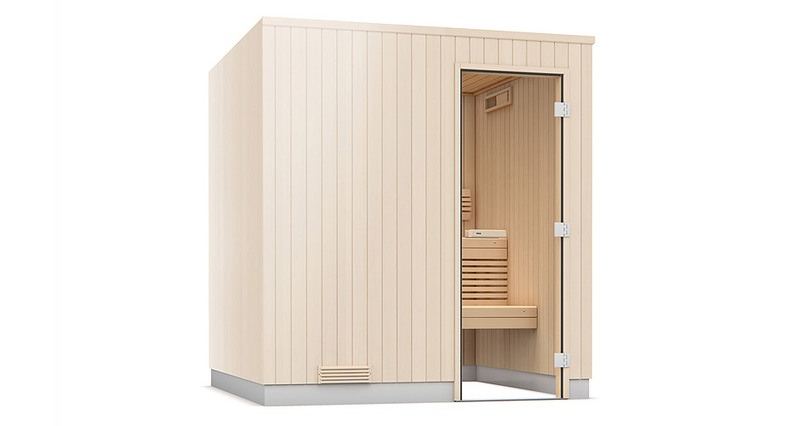 It’s easily one of the most popular saunas for home use in the UK and internationally. 17 model variations make up the Evolve range with flexible options to ensure the perfect sauna for home use. With the Evolve you get everything you need for the perfect sauna at home experience. The ceiling and walls come pre-insulated plus you get a floor frame and ventilation. All aspects of this in home sauna are produced with unrivalled high quality craftsmanship. Every model of Tylo Evolve sauna comes with the option of choosing a sauna heater from Tylo’s extensive range. To find our more on the available range visit our sauna heaters page. Choose from a stunning range of high quality fittings, woods such as spruce and aspen, lights, sauna doors and many other accessories. The sauna door is available in a variety of high quality design finishes. Plus there are additional benches made from solid aspen. The Tylo Evolve is part of the traditional home saunas collection. When assembled its pre-fabricated sauna design is incredibly modern and uses ‘concealed nailing’ to ensure the panel fittings are seamless. Inside panelling merges to again provide you with a seamless wall to ceiling interior design. 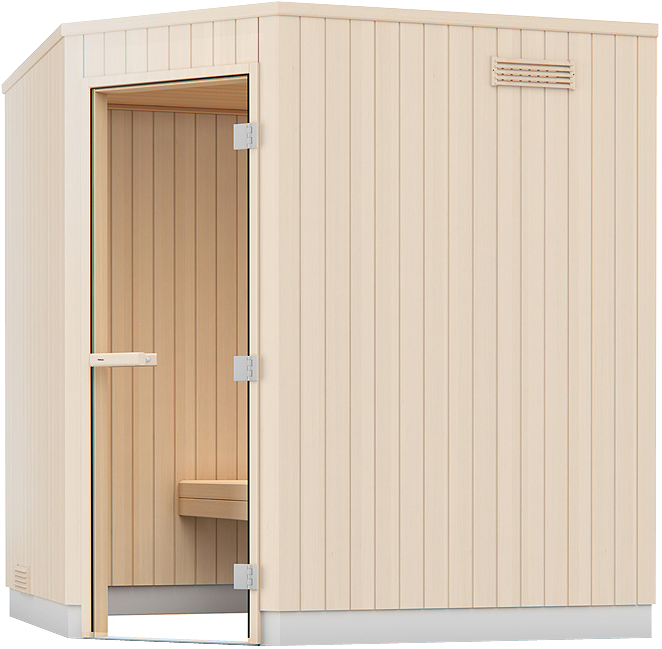 The Tylo Evolve can be supplied with sauna benches that are available in 2 models. There are also a wide range of sauna heaters and sauna accessories available to make your stylish home steam sauna retreat all more the inspirational and unique. Being a home sauna kit, the Evolve comes in pre-fabricated units that are very easy to assemble. You should have no problems with installation as long as you have prepared the space beforehand and have a level floor. We do however offer the full installation service which every product we sell. The Tylo Evolve comes in 17 different variations and we can supply and install any of these home sauna units anywhere in the UK or internationally.